This unit features the problem-solving and design processes that creating robots lends itself to. The STELM 6 class takes their first steps in robotics by using Lego Mindstorm EV3 robotics kits. Students are able to build, customize, and use block programming to make their robot complete specific tasks. Once the class has a basic understanding of programming, we can dive into the next challenge: The Space Challenge. 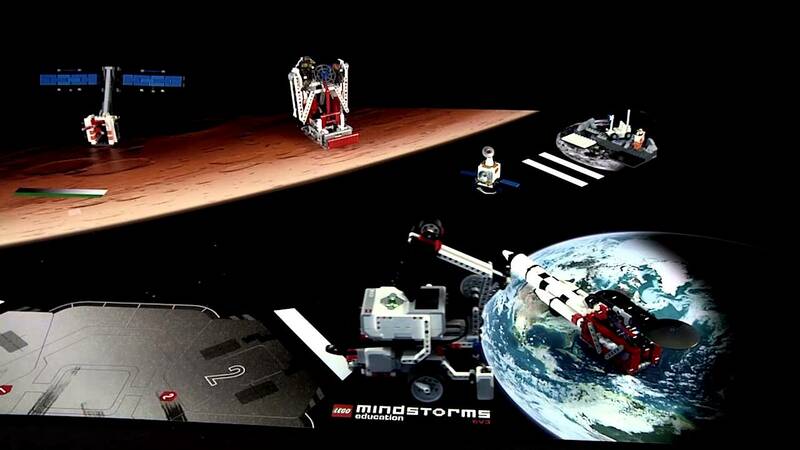 Each student must program their robots to complete missions on the "Space Station" and save the astronauts! 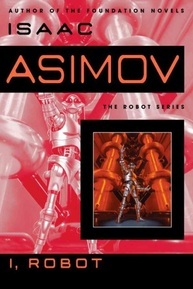 I, Robot is made up of nine short stories; these stories are loosely connected (in the book, they are tied together by a narrative framework, namely, a journalist interviewing an elderly Dr. Calvin about her life and about the history of US Robots) due to the fact that they all have roots in Susan Calvin's life. Dr. Calvin was the chief robopsychologist at US Robots and Mechanical Men, Inc., which is in the book the major manufacturer of robots in the 21st century. 1. I can create a presentation (using proper speech skills) about how robots throughout history are based on form and function. ​2. I can create a presentation (using proper speech skills) about how robots throughout history are based on form and function. 3. I can master the use of basic gear configurations, including gearing up, gearing down, and gears versus direction. 4. I can write a narrative from an alternative point of view using sensory language and figurative language. 5. I can write a narrative using proper grammar, conventions, and spelling. 6. I can use wheel circumference to calculate and program the number of rotations, degrees, and seconds needed to drive a specific distance. 7. I can use a gyro sensor to program a robot to make precise turns and a color sensor to distinguish colors and react accordingly. 8. I can apply and creatively adapt programming and problem-solving skills to solve the Space Challenge. 9. I can write a presentable persuasive argument, supported by facts, and grammatically correct, in support of or against a topic dealing with space exploration. ​10. I can document my learning of robotics through creating an artifact and reflection on my portfolio website.